Founded in 1902, the Society of Friends of Strasbourg Cathedral provides a forum, not just for its enthusiastic and committed members, but for all admirers of this superb building, which has been awarded World Heritage status by UNESCO. The Society became a registered charity in 2001. With the help of private gifts and legacies, and also corporate donations, we contribute directly to conservation and restoration of the Cathedral. 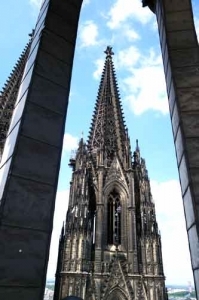 Excursion to Cologne in 2014, with guided tour of the Cathedral’s upper levels. Every year, we organise a series of free public lectures on the Cathedral and its surroundings. We have special events to mark key dates and anniversaries, e.g. the recent colloquy on the Romanesque Cathedral, to mark the building’s millennium. We arrange members-only guided tours of the Cathedral, often taking in the upper levels, e.g. the roof area, with its galleries, walkways and timbering, and of other notable Strasbourg buildings. Day and longer excursions to outside destinations are also on the programme. 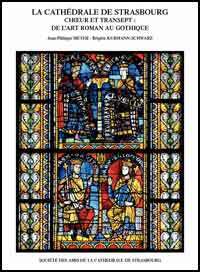 Our biennial bulletin contains specialised articles and papers on the Cathedral. Publication of a new monograph on the building by leading experts started in 2010, and Volume I has already received a number of awards. 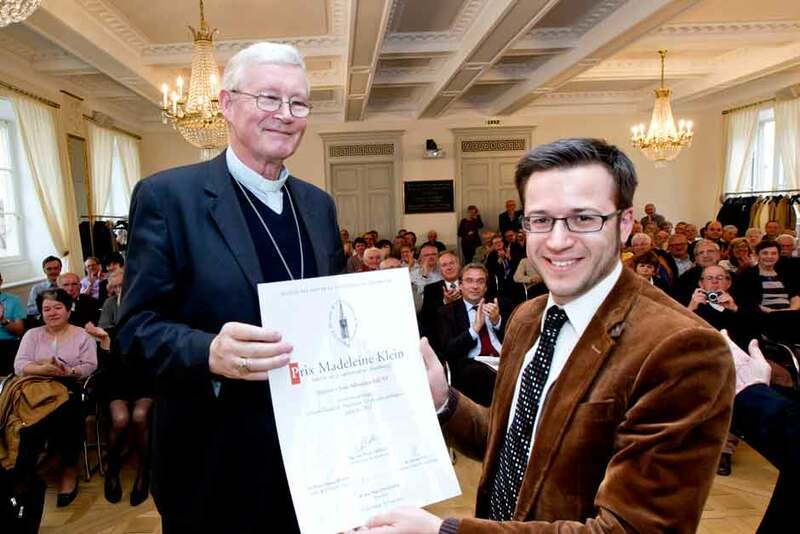 Finally, we promote research on the Cathedral, and the Madeleine Klein Prize for ground-breaking publications is one of our incentives. We are involved in various schemes to make the public at large more aware of the building and its history. One project, which we are funding with the Rotary Club, is a large-scale bronze model of the Cathedral to help sight-impaired visitors to form a clearer idea of its structure. You can keep in touch with new projects and developments on our homepage. 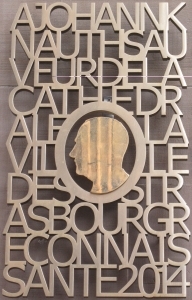 The Society of Friends of Strasbourg Cathedral is an independent entity, and has no connection with any other public or private body. Membership subscriptions and publication sales are its only source of income. It is run by a dedicated team of unpaid volunteers. Its Steering Committee is elected by members and by representatives of the various bodies officially responsible for managing and maintaining the Cathedral. It meets regularly to plan the Society’s activities, and comprises several sub-groups (Bureau, Reading Committee, Cultural Activities Committee, etc.). Professor Marc C. Schurr has chaired the Steering Committee since 2013. Paid-up members are invited to attend the annual General Assembly, at which decisions on current and future activities are taken. The Society’s activities were suspended in 1918, when the First World War ended, Alsace returned to France, and Johann Knauth was removed from office and later expelled to Germany. In accordance with French law, the Workshop Foundation’s responsibility for work on the Cathedral was also transferred to the state. 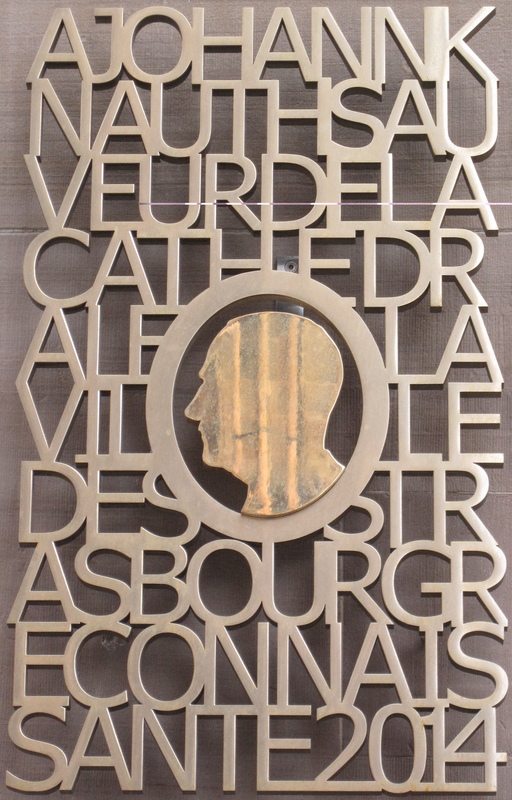 As a result, the Society was obliged to rethink its whole mission, which it did under the guidance of Abbé Joseph Walter (1882-1952), shifting its emphasis to research on the building by specialists and publishing their findings in the Bulletin de la Cathédrale de Strasbourg. 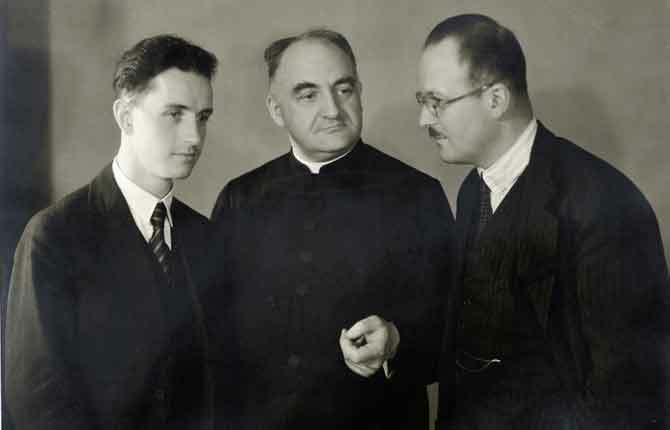 Hans Reinhardt, Joseph Walter and Etienne Fels, three Presidents of the Society. 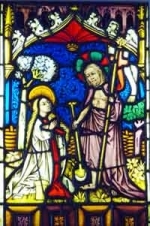 Christ appears to Mary Magdalene, sixteenth-century stained glass window, presented to the Society by Hans Reinhardt. In the period which followed the annexation of Alsace by the Third Reich, the Society’s leadership dispersed and, even after the war, it needed time to regroup and start work again. The Bulletin was repeatedly behind schedule, appearing only at irregular intervals. Etienne Fels (1900-1970) took over as President in 1952, and was succeeded in 1970 by the distinguished Basel-based art historian, Professor Hans Reinhardt (1902-1984), who made sure that the Bulletin again appeared regularly. We still have in our office a small sixteenth-century stained glass window, which he presented to the Society while President. François Joseph Fuchs, Director of the Strasbourg Archives, was elected President in 1975, and did much to illuminate the Cathedral’s past, particularly by publishing numerous medieval documents. In 1994, he was succeeded by Jean-Paul Lingelser, under whose leadership the Society stepped up its efforts to involve the public, and helped to fund several restoration projects, including one focused on the stained glass windows in the south side aisle. Registered charity status, awarded in 2001, turned it into a full-scale fund-raising body. In 2003, shortly after celebrating its centenary, it moved to its present office. Jean-Paul Lingelser stepped down in 2013, handing over to Marc Carel Schurr, professor of art history at Strasbourg University. 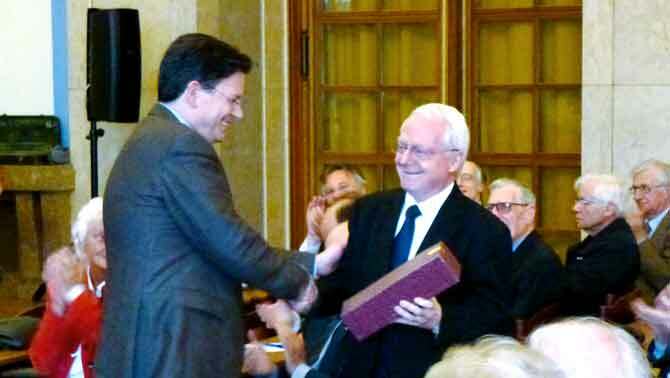 Jean-Paul Lingelser (right), Honorary President, is congratulated by his successor, Marc Carel Schurr. Anyone can join the Society. Simply download and complete the membership form , and return it to us with a cheque to cover your annual subscription. Members are kept regularly informed of the Society’s activities (lectures, guided tours, excursions, etc. ), some of which are open only to them. They receive the Bulletin free of charge as soon as it appears. Their card gives them free access to all Strasbourg museums, and to the Cathedral platform.